While you won’t find me sitting in front of the TV on a Saturday watching SNL these days, the show is responsible for many bits that are true classics in pop culture here in the US. SNL introduced us to big-time stars like Eddie Murphy, Chris Farley, Dan Aykroyd, Adam Sandler, and countless others. 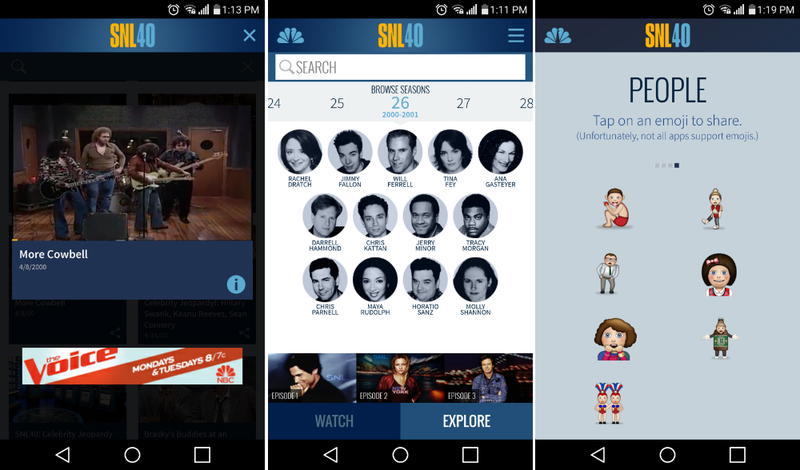 To help you relive these classic sketches, an official SNL app has been released for Android, containing what seems to be all of the best bits you can remember. There are the hits like Matt Foley the Motivational Speaker and Christopher Walken in the Cowbell sketch, plus tons of other funny videos. While you search through videos, you will be met by periodic 30-second ads, but to have access to a library such as this, a quick ad or two won’t kill you. Anyway, if you dig the old SNL stuff, or even the new stuff (no judgement), go grab it.